Watch the conference online and engage! 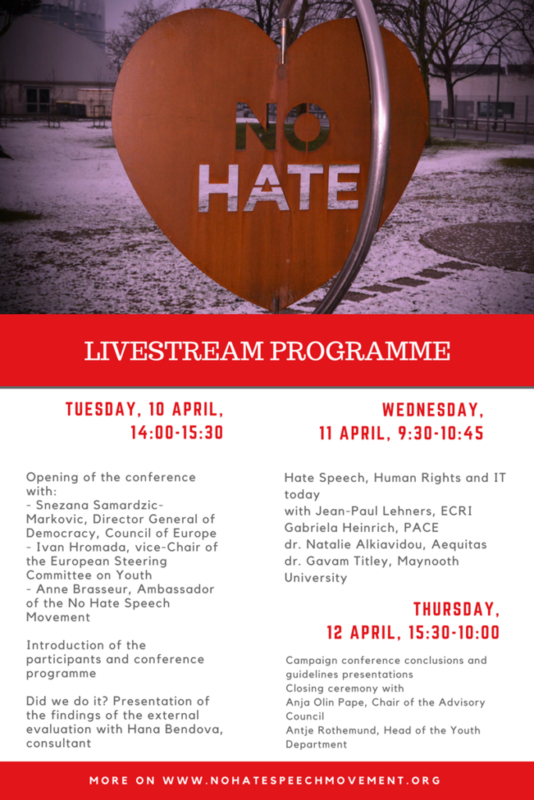 Some of the sessions of the Evaluation Conference of the No Hate Speech Movement youth campaign ‘IS THIS IT?…’ (Strasbourg, 10-12 April 2018) will be livestream. You can watch online on the Facebook page or here. You are also invited to ask questions and comments, share with your colleagues on our Facebook page.